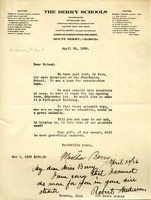 A letter authored by Martha Berry sent out requesting any monetary donations to aid in the rebuilding of the main dormitory at the Foundation School, which burned down. The dormitory housed seventy-five boys and they were hoping to have it built and ready for the opening term, September 1st. 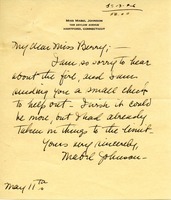 Miss Ella M. Cole sends $100 to help towards the fire that burned down the main dormitory. 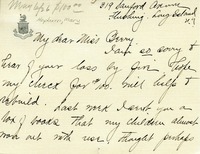 Martha Berry writes to Miss Emily O. Butler about a donation to rebuild the main dormitory at the Foundation School that was lost by fire. 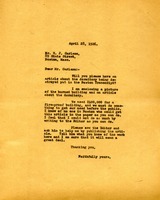 Miss Berry asks that Mr. Carlson puts a picture of the burned down dormitory in the Boston Transcript so more people will be aware of their need. 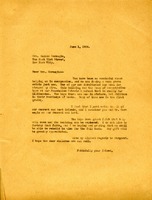 Berry appeals to Carnegie for financial help in rebuilding the burned dormitory. She describes the boys who lived in the dormitory as "men in stature, but children in their knowledge of books." 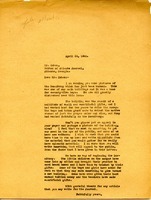 In this letter Martha Berry asks Mr. Cohen to put an appeal in the AJC for the dormitory fire. 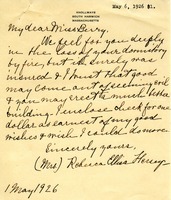 Letter from Martha Berry asking for money to rebuild the main dormitory after a fire. 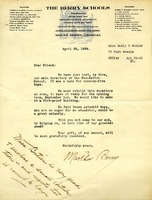 A letter from Martha Berry, possibly a copy letter sent to multiple people, asking for money to help rebuild the main dormitory after it burned down. Jones encloses a gift in response to the dormitory fire solicitation, wondering why so many Southern schools suffer losses from fire. She has heard that fires at schools for African Americans are incendiary, but thought prejudices against them had died out. Mrs. Hersey sends her sympathy for the loss of the burned down dormitory, but she feels that the dormitory was surely insured. To show her good wishes, she sends a donation of $1. 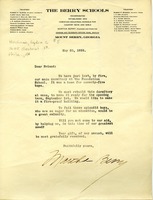 Mrs. Heath sends a $10.00 donation to the Berry Schools to help towards the rebuilding of the dormitory lost by fire. 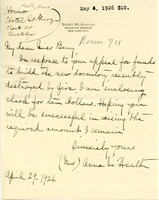 Solicitation letter after the dormitory fire returned with a $5 donation from Lydia S. Hinchman. 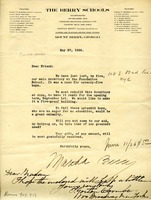 Letter with $10 donation after boys dormitory fire. Hoping the fireproof building will be ready for Spring term.